If you are pregnant and find that things are slipping your mind, you are not alone. 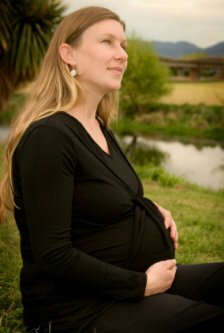 Most women report some degree of forgetfulness during pregnancy. While frustrating, this is completely normal. Pregnancy affects every part of your body, including the mind. Fortunately, there are ways that you can cope with this problem and still finish the tasks you need to accomplish. There have actually been studies done on this phenomenon. A study published in The Australian Journal of Advanced Nursing showed that 68% of participants reported changes in memory. Fifty four percent reported difficulty in concentration and 52% reported absentmindedness during pregnancy. Knowing that forgetfulness is normal is comforting to those of us worrying about the onset of Alzheimer’s disease. However, it won’t help you remember to pay the bills or return phone calls. There are some things you can do to help remember tasks that need to be completed. Some women find that keeping a detailed to do list is helpful for avoiding serious memory slips. You just need to remember not to lose the list! A day planner or calendar with important events listed can also help. Take a good look at the commitments in your life. We are all guilty of over scheduling at times. If you are the type who just can’t say “no”, it may be time to reevaluate this tendency. There is nothing wrong with taking it a bit easier in terms of work, volunteering and outside commitments for a while. You can blame your pregnancy, if you can’t just say no. when the baby is a bit older, you will be able to take on more projects. Lack of sleep can contribute to forgetfulness. Insomnia and fatigue are common discomforts of pregnancy that affect women, especially in the first and third trimesters. Forgetfulness seems to be a problem in the first and third trimesters of pregnancy as well. While there are no studies to show a correlation, the coincidence seems pretty strong. If fatigue is contributing to your memory problems, try to get more rest. The only cure for tired is sleep, especially in pregnancy when high doses of caffeine are not a good idea. Get to bed earlier and take a nap during the day. Even a short rest can rejuvenate you and help reduce forgetfulness.